London, UK (June 19, 2018) – Morse Watchmans, the industry leader in key control and asset management systems, is showcasing their KeyWatcher® Touch key management system at IFSEC International 2018 (stand no. H210) in London from June 19-21. 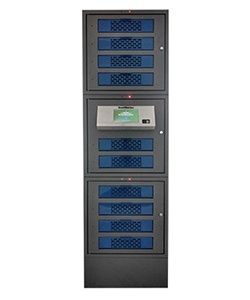 The company will also be displaying their asset management solution, AssetWatcher, which uses RFID along with their proven KeyWatcher technology in a locker system to secure and store valuable assets. 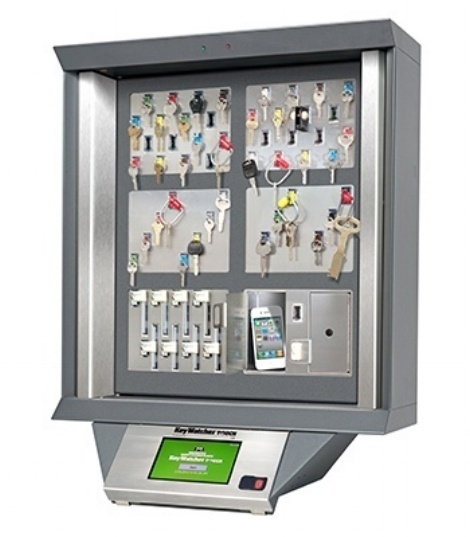 Morse Watchmans’ KeyWatcher Touch key management system utilizes a 7” touchscreen for an easy to use interface and patented SmartKey system with KeyAnywhere technology to make it simple to withdraw and return a key securely to any key cabinet in an enterprise. Updates to KeyWatcher Touch for 2018 include a new database design, a desktop fingerprint reader that allows users to enroll fingerprints through TrueTouch software, and the ability to utilize multiple KeyWatcher Touch server instances with a single SQL database. AssetWatcher, Morse Watchmans’ flexible, scalable, and highly capable RFID-enabled locker system will also be on display at IFSEC 2018. AssetWatcher can easily support more than 10,000 users on a single system and is configurable in three usage modes for the utmost convenience. It is simple to track who is removing or replacing an asset along with when or where in the system the transaction has taken place. The proven features of KeyWatcher, such as email notifications, multi-site operation, and multi-user capability, bring the highest levels of security and capability to AssetWatcher.